The I Ching or Book of Change is the most ancient and profound of the Chinese classics, regarded for millennia as an oracle of fortune, a guide to success, and a dispensary of wisdom. It’s the accumulated experience of over 2,500 years of diviners and sages, and beyond that of unimaginably ancient oral traditions. It’s the voice that has been offering people help and wise guidance for generations. The underlying theme of the text is change, and how this fundamental force influences all aspects of life, from business and politics to personal relationships. The Book of Change was originally composed around 1123 BC by King Wen and his son, the Duke of Chou. Six centuries later, the book was analyzed by Confucius, who added his own commentaries. The result of this work is the format known today, a compendium of advice on the causes behind the rise and fall of kingdoms and careers. The I Ching is a guide to the best way of dealing with any particular situation in life or to point ourselves in the right direction. Based on the principle that everything changes constantly, it teaches us how, when and where to act. A highly compelling book, the wisdom it contains is invaluable. The Book of Changes was more or less unknown in the west until around 100 years ago when it began to grow in popularity, together with other aspects of Chinese culture, such as Buddhism, Taoism, Acupuncture and Martial Arts. The Chinese system of healing has been of particular interest. The main difference is western medicine tries to cure the symptoms whereas Chinese healing has a holistic view which sets out to is find the underlying cause, this can only be correctly diagnosed by examining the entire energy field of the patient. The I Ching works by focusing on the flow of energy in your life and finding where there are imbalances or blockages in the flow. 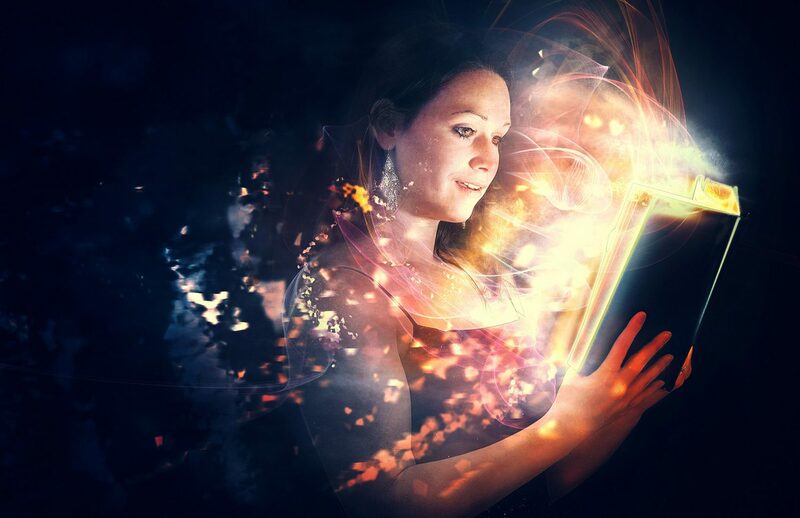 When appropriate corrections are made in the energy field, your life path is restored to the optimum conditions. The book of changes has been used for centuries both for decision-making and as a basis for philosophical speculation. The guidance of the I Ching can be used to encourage thoughtful decision-making to help you see all aspects of a situation. The natural images in the I Ching, can provide fruitful images for mediation to help you sort out specific dilemmas. In structure, the book has sixty-four sections, each associated with a six-line figure of solid and broken lines, which is called a hexagram. The reader is encouraged to see similarities between the two, a type of reasoning which is discussed below. Each line is a result of coin tosses or other methods such has sorting yarrow sticks or pulling marbles from a bag. Once you have drawn up your hexagram, you are then pinpointed to a collection of texts which gives you an interpretation of your current situation. A hexagram isn’t just a convenient chapter heading and text – it’s also a very simple, elegant picture of how the energy is flowing through the situation. A hexagram is made up of two three-line figures, called trigrams. 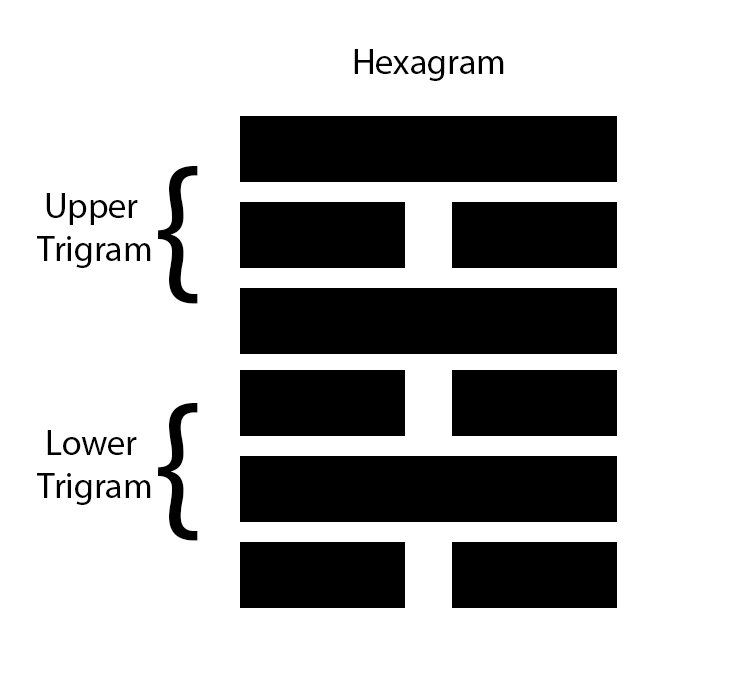 The top three lines are called the upper trigram, and the bottom three lines are called the lower trigram. 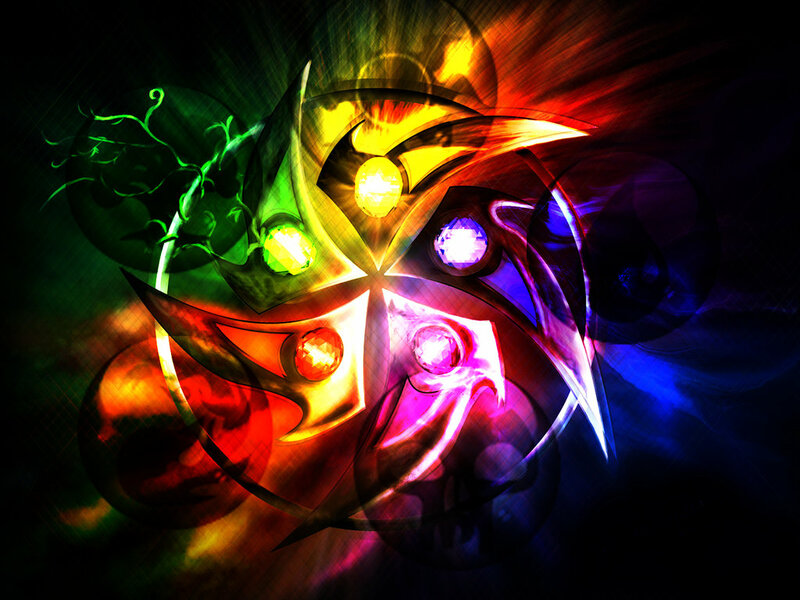 Each trigram represents a natural object: Earth, Water, Fire, Wind, Sky, Thunder, Mountain and Lake. In C. G. Jung classic translation of the book of changes, he claims that it works according to what he called the principle of synchronicity, or meaningful coincidence. In other words, when you throw the coins, the way they fall has meaning and the hexagram you draw from that reflects the wisdom which already exists in your unconscious mind but is largely hidden from view. By focusing on the situation using the I Ching you can gain access to these deeper levels and by practicing regularly you will increase your powers of intuition. The book of change is based on two principles, Yin and Yang. Yin and Yang were viewed as two basic opposing forces – complementary opposites within a greater whole. Everything was imagined to have both Yin and Yang aspects, which constantly interact. Yin was female, which included the moon, cold, water, earth, nourishment, sustenance, recessives, autumn, winter, and so on. Yang was male: the sun, fire, heat, heaven, creation, dominance, spring and summer. It was believed that if Yin reached an extreme it was transformed into Yang, and if Yang reached an extreme it was transformed into Yin. 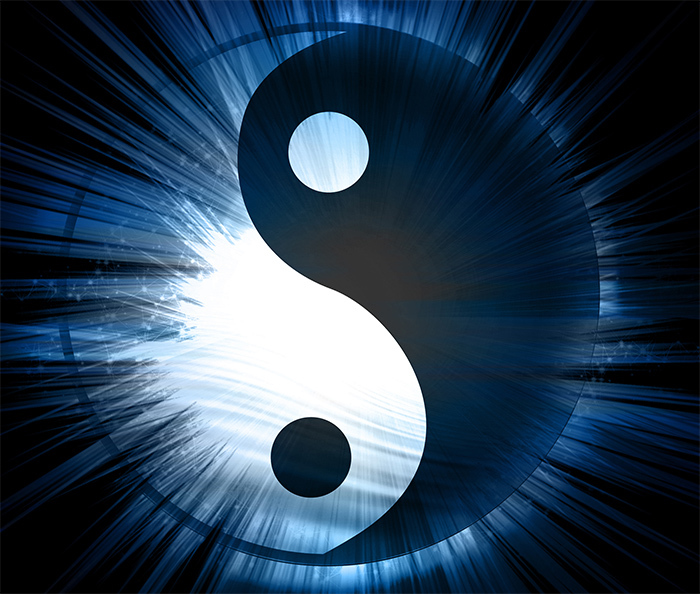 Anything in the universe basically consists of these opposites, and the balance or imbalance between them. It is believed that by studying combinations from eight trigrams and sixty-four hexagrams one could uncover any possible activity in nature. The I Ching elaborates on this, by grouping the lines into sets of threes (the trigrams), and into sets of sixes (the hexagrams). There are the 64 possible hexagrams. 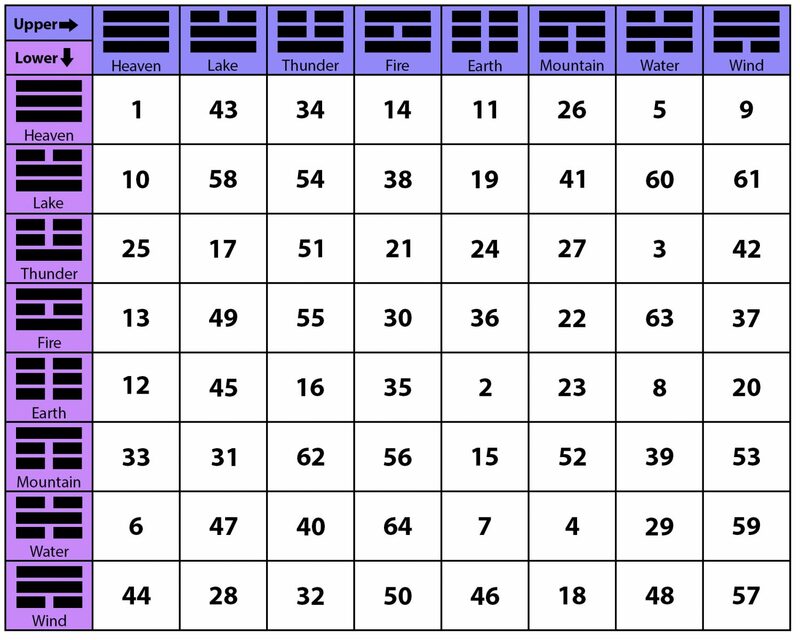 The I Ching reading consists of the interpretation of these 64 hexagrams, which encompass all circumstances of the Universe. There is a total of eight trigrams which can be created by the various yin and yang combinations. Each hexagram has its specific meaning and divination text. But they in turn are made up of pairs of trigrams, with three lines each. And those trigrams are the real keys to the I Ching and its logic. One popular method of creating your hexagram, is using a set of three coins. Ask your question. Close your eyes and focus on the question. If you don’t have a question in mind you will get guidance on your current state. Throw the three coins onto a table, heads of each coin are worth 3 points, while the reverse tails are worth 2 points. If your coins add up to an even number then it is Yin. If the numbers add up to an odd number, then it is Yang. Draw on a piece of paper, either a broken line for Yin, or an unbroken line for Yang. The set of coins are thrown six times. The hexagram is built from the bottom up, so the first line is the bottom one, the sixth line the top one. If a line is a changing line, it will transform into its polar opposite. Yin becomes Yang, or Yang becomes Yin. 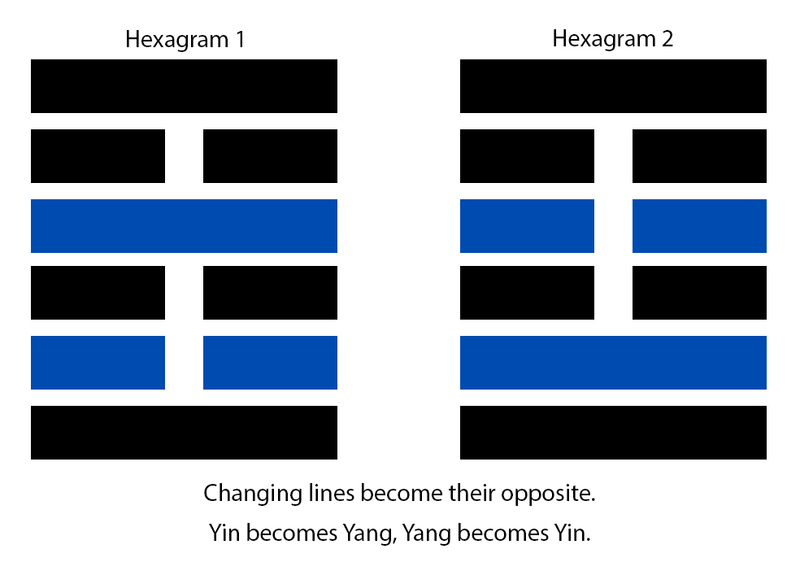 If you have a changing line in your hexagram, you create a second hexagram, then change ‘the changing lines’ into their opposite. Once you have drawn up your hexagram or duel hexagram, it is time to open up the I Ching and lookup the interpretation. 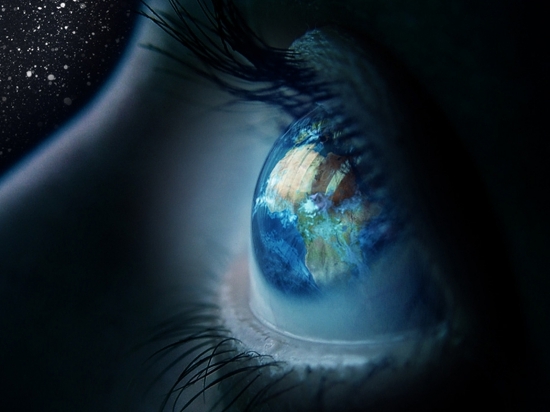 By reading the text it will reveal exactly where you are in this very moment. It will also give you a guidance on what is to come. 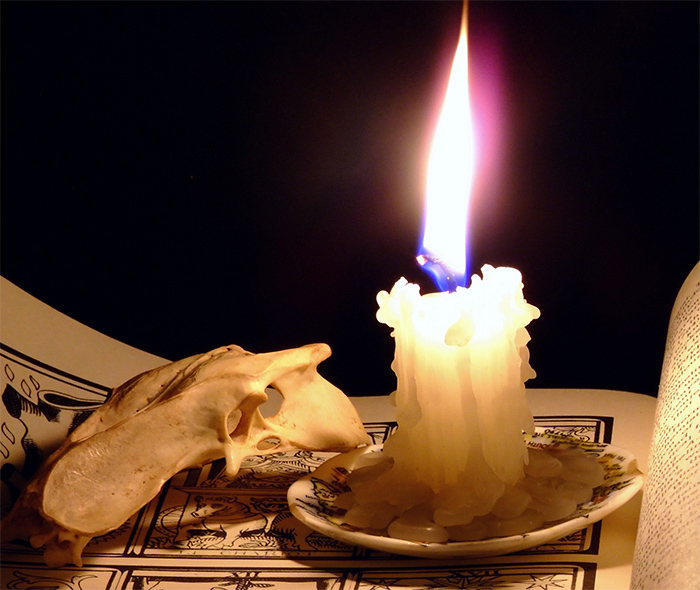 One should begin in a quiet and receptive state of mind and approach the divination with sincerity and good faith. Ask an open-ended question, not a yes or no question. The better and more broadly the question is formulated, the more significant the answer will be. Make certain the question you ask is the same as the question you are thinking about. If you ask a question that’s different from what you’re really thinking about, the I Ching will often answer the question that’s at top of mind, not the one you ask. As you read the I Ching, keep in mind the question that is being answered. It is best to read the whole text before interpreting the meaning. Breath and relax, read and listen, let your imagination play with the images and enjoy them. Soon the answer will come. You don’t need to workout the answer so much as you need to listen for it. Even if you are initially unsure of what to do with the answer you receive to your question, it is advisable to wait a few days before making another attempt. The significance of an answer often only becomes clear with time. If you are going to work with the I Ching, do be aware that you will have to interpret the answer you receive based on your unique, personal situation, and supply the necessary nuances. Naturally, this skill will only develop with practice. Start with reading the primary hexagram text, this is the basis of your answer. The Secondary Hexagram can show both the foundation of your question and the potential outcome. In many cases, the transformed Hexagram will show the lingering atmosphere or longer influence at play while the Primary Hexagram is revealing your current mindset and situation. The changing lines are the core of the reading and the most direct answer to your question. Here is a chart to find your hexagram. When you draw this hexagram, success is assured and significant progress will be made, providing your goals are positive. This is a good time to set plans into motion and accomplish ambitious goals. But be aware of the consequences of your actions. Don’t waste time on irrelevant issues or get involved in anything unworthy of your time. At this time others will look to you to take the lead and you are in a position of considerable influence. Be a positive and inspirational influence to others, but if you are not you could cause great damage. Listen to others and be kind and look for all opportunities to learn. It is important at this time to listen to others, and not to take any action without guidance. Be open-minded and focus on what your current situation needs most. Now is a time to listen to your intuition, and it will guide you in the direction you need to go. Take some quiet time with yourself to reflect on your current situation. You will find that you have many resources which will benefit all concerned. Discuss your ideas with friends who could help with your goals. There is a strong sign of success indicated with this hexagram. A new cycle is beginning and there will be changes to some areas of your life that cannot be avoided. You will be venturing from your comfort zone into unknown territory. Things which were once important will no longer have the same meaning to you. This is a confusing situation, where you will find yourself questioning your beliefs. You will benefit from the advice of someone who has been in a similar situation, but in the end, it will be up to you to decide what to do. Seek out someone with experience to help to bring light on your situation. You may be tempted to rush into an opportunity, but you are urged to stay calm and wait, it is only a matter of time until the correct course of action becomes clear. Now is a time to keep an open mind, put aside your own ideas and listen. Be careful not to make any careless actions due to inexperience. Seek guidance from someone more experienced and be prepared to learn from your mistakes. Let people live their own lives and learn their own lessons. If someone seeks guidance from you only offer what you have to say if they are truly receptive. Don’t give up due to failure, Meng teaches that failure is simply a stepping stone to success. Hsu calls for patience, there are forces out of your control and it is best to take no direct action. Trust that everything will work out as it is meant to. This is a time of waiting, stand back and look at your situation objectively, once you see your situation clearly, you will understand the need to stop and wait. Keep your goal firmly in mind, when it is the right time, you will attain it. While you wait, focus on the here and now, try enjoying your life to the best of your ability. You may find conflict in your current situation and will need to find a solution. You must remain calm and cool, as a negative approach will only make things worse. Focus on your goals and don’t do anything that could go against them. The best outcome to your conflict is when everybody involved is happy with the result. This will only happen if you seriously consider opposing point of views. You will need to compromise and meet the other half-way, even if you are in the right. Although the conflict can be difficult you will find something positive emerge from it. It would be best not to start any new projects until the conflict has been resolved. Now is the time to take charge of your own destiny, be an inspiration to others and enjoy their support to achieve your worthy goal. You must be enthusiastic about your goals otherwise you will find it difficult to complete them. Be determined, opened minded and aware of the consequences. If your question is about a relationship, the principle remains the same, decide on the desired outcome and take appropriate steps to achieve it. Focus on your inner strength, self-discipline and confidence and do not be ruled by emotion. you may need to make some short-term sacrifices but it will be in your overall best interest. This hexagram concerns your relationship to a group and how success depends on all participants being of like mind. If there is a group you are considering joining, you must act fast or a successful integration will be impossible. If you are asked to be the group leader, it is important to be responsible, trustworthy, stable, honest and stand firm under pressure. The hallmark of a healthy and well-functioning group is one that respects the dignity of its individual members. As group leader you must have the ability to bring this about. Drawing Hsiao Ch’u is the promise of ultimate success but remain cautious and don’t make any major moves. Although you will have the desire to press ahead you must wait until the situation improves before taking action. Your self-restraint will pay off in due course. The best action for now is to prepare the ground in small ways for the changes that are to come. Now is a time to be cautious, do not take any unneeded risks, problems will arise if you do. Think carefully before making a move and move slowly and steadily. Remain courteous to others, even if they are behaving in an unpleasant manner. But, you must maintain your dignity and composure. You will need patience at this time and should focus on creating harmony. Now is a time for peace and harmony, this hexagram represents the beginning of spring when everything begins to flourish. Your love life will be harmonious and your business projects will thrive but is up to you to make the most of this opportunity. Do not be tempted to sit back and do nothing, you must continue to work hard to reap the rewards. This is a good time to clear out the old and make room for the new. Get rid of anything that is no longer of any use to you, this applies to relationships as well as possessions. Your path is clear now, and the prospects for great success are outstanding. Your situation has reached a standstill, there are far too many obstacles to proceed. Be cautious seeking the help of others at this time as they may prove to be uninterested in your current predicament. Do not give up on your plans, keep to yourself and have faith things will improve soon. Communication may be problematic and misunderstanding can occur easily. Do not try to force the situation, just be patient and have faith in yourself. Do not get involved in any situation that would mean compromising yourself and be aware of any generous offers as they may have hidden strings attached. For now, retreat until time favors you once again. Remember a time of difficulty often hides the seeds of fortune. Your goals can be best achieved when working within a group of like-minded people. Offer as much as you can to the group and the others will do the same. Communication is the key, try to learn each member of the group’s strength as a group true power lies not in numbers but in the diverse skills and resources of its members. When working within a strong group even the most difficult enterprises can be attempted without much risk. If problems do arise do not lose heart, keep an open-mind and remain determined to succeed. Drawing Ta Yu is a sign of great fortune, your projects will thrive, relationships will blossom, and you will have improvements in many areas of your life. Take the decisions and actions you believe to be right. Live by your values and keep your integrity. Now is an opportunity for you to shine. You have considerable influence so be sure to use it well. Although most things will be in your favor, be careful not to bite off more than you can chew. Ch’ien teaches to be yourself and keep a modest attitude, be aware of your strengths and weaknesses, and appreciate your own value. With the oncoming events remain modest and don’t flaunt your own abilities and achievements, but do not undervalue yourself either. You will find being humble will endear you to those of higher status, it will also draw those of lower status to you and your causes. Humility is a virtue, if humility is not natural to your disposition, make a conscious effort to develop this side of your character. At this time, you should focus on self-development and keeping a modest outlook as this will bring you good fortune. For the time being will you will enjoy a period of comfort and relaxation, there are no major problems indicated in the near future. Take advantage of new opportunities, and if you are passionate you will attract others to help you with your goals. While you have the energy and momentum, this is a good time to begin new undertakings, anticipate what you will need to make progress. Set high standards for yourself and don’t waste your time with unimportant matters. At this time, you will find you have many worthwhile tasks to accomplish. Be patient if things are not moving as fast as you would like. Adapt to your current situation rather than trying to make things as you would like them to be. Only by being adaptable to the demands of the time can the highest good emerge. If you remain openminded great success will come. Things are not going the way you would like, there are things in your life you no longer have control over. However, the situation can be transformed. You must pay serious attention to matters you have been neglecting and focus on repairing the damage. 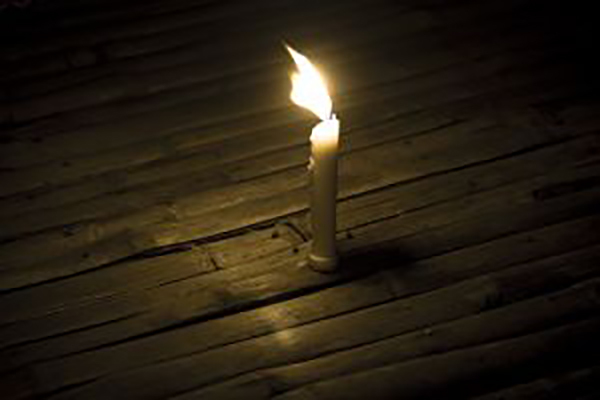 Step back and consider how you have come to this position, by knowing how the problem has been caused, you will be able to remedy the situation. If you are determined you will be highly successful. Be patient, there is much work that needs to be done, but your commitment to solving the problems will bring a satisfying result. You will feel as though spring is in the air, and all your affairs will blossom. New opportunities will appear but they will require making some changes. You will find you hold great influence at this time, use this well, and will receive positive and encouraging feedback. Although this is a favorable time, you must not sit back and let things happen, you must continue to play your part in nurturing the situation, so long term success is assured. Now is the perfect time to form new relationships, you will find the bonds form effortlessly. The relationships formed in this time will last. Kuan is a time for contemplation, take a completely fresh look at the situation. Be open-minded and ready to learn. The ability to step back and simply observe deepens resolve and attracts good fortune. As your understanding of your situation grows, you must then take appropriate action. This hexagram means there is a need to gain a wider view and take time out to consider your future direction. Do not take any important action without careful contemplation. In the original text this hexagram represented legal issues, this is a time to take a firm stand. You must push through any obstacles and focus on dealing with the essentials. Whatever the issue, it must be identified and tackled with determination, the problem will not go away by itself. Don’t be afraid to shake things up a bit, assert yourself now and you will meet with good fortune. Once you identify the problem, it is only a case of finding the most appropriate way to counteract it. This situation causes for you to use tact, be charming and present yourself in the best possible light. If you want to attract others to you, begin within. Brilliant inner beauty is like a magnet that others can’t resist. Remember that true beauty, like true happiness, comes from within. Resist the temptation to create false impressions of your position or stature. Make the most of your own resources and abilities to help you make progress and don’t try to take any short cuts. Your situation is deteriorating, there are external forces out of your control. Be cautious, there may be some force working to undermine your position, be on guard and wait till the situation becomes clearer. There is some aspect of your life that no longer serves you well. It is time remove the old and make way for the new. You are in a vulnerable situation and must avoid confrontation. This transition into the new can be difficult, trust that matters will work themselves out as they are meant to without you having to intervene. A new turning point in your life is about to begin, there may be some difficulties at first but it will eventually bring success. Don’t try to force developments, the situation will unfold in its own way. You may feel ready to take action. But this would be premature. Be patient, relax and conserve your energy. Listen to your conscience, don’t let anyone influence you, if you act from the right motives, everything will work out well. Listen and learn from others whose views you respect. This will strengthen your own insights and help you make the right decisions. This hexagram is about innocence, it implies to act without self-interested ulterior motives. By doing so you will ensure a successful outcome. If your intentions are sincere, whatever move you make will be the right one. This is a time to be practical, Work steadily towards your goal one step at a time. Trust and be guided by your own perceptions, and resist being pressured into deception of any kind. Let upcoming events unfold naturally they will develop just as they need be. In due course all will be well again, the less you try to intervene, the better. This hexagram is about providing nourishment to yourself or others. This can mean the food which you eat or can apply to spiritual, mental or emotional nourishment. Use your discrimination to what positive or wholesome nourishment you can bring into your daily life. Such as, eating well, exercising and meditation. Be selective who you choose to give your care to, don’t waste your energy on undeserving people or those who do not take proper care of themselves. Try to work on a positive outlook to life, as negative thoughts can make your life miserable, positive thoughts will improve all aspects of your life. You have come to a difficult situation, you are under great pressure and something has to give. You must take action, but first you need to understand the underlying cause of the problem. The source of the stress could be within a relationship, whatever the particulate issue is, needs some serious adjustments to bring balance back into your life. Be extremely careful. A successful outcome depends on paying great attention to detail. If you can find the courage to make the necessary changes, success is assured. There are difficulties in your current situation, but keep going forward, persevere until the difficult time has passed. Believe in yourself and refuse to give up, no matter how bad things may seem. The worst thing you could do at this time is give up, you must keep working hard to get through this abyss. It may seem that you are going against all odds, but if you can keep going, your efforts will eventually be crowned with success. You need a clear view of your current situation, step back and keep a degree of detachment. If you are clouded in emotional issues, you will have no hope of seeing the whole picture. The more willing you are to accept the reality of the matter, the better your chances of seeing your situation clearly. As you begin to understand the situation more clearly, you realize that you cannot avoid giving up. Move slowly and carefully, paying attention to detail. Make certain you have made all the necessary preparations before taking the next step. If you can maintain a balanced attitude, you are guaranteed great success. In this situation you will find there is someone you are attracted to and want to form a relationship with. This does not necessarily mean a love affair, it can be any area of your life where the connection would be mutually beneficial. This may be a love affair but it could be other type of friendships, like family or business relationship. Do not try to rush the relationship, bonds between people cannot be forced, and must develop on their own. The best thing you can do is be yourself and act naturally, if this relationship is meant to be they will respond favorably. Listen to your heart and be sincere. In the old text, this hexagram represents marriage. Questions concerning relationships would suggest you make a commitment. But this could also apply to work, a project or other matters that concern you. If you have recently started a new endeavor, then you must stick to it and see it through. With longer term projects, move slowly and be determined to complete your objective. When difficulties arise, see them as a challenge to your determination. Be flexible. Take whichever approach will be the most effective in the current circumstances. Now is a time to make a strategic withdrawal while you are still in a strong position, conditions are not in your favor. Retreating is not giving up, it is a strong constructive course of action. By withdrawing you give yourself the opportunity to get a clear overview of the situation and reassess your priorities. Sometimes it is necessary to slow down, let go or move back in order to better position yourself for future moves, or to draw an opponent closer. Periods of retreat call for cool-headedness and you must keep your wits about you. This hexagram can also indicate the need to retreat from a particular lifestyle and you should distance yourself from negative people you may be involved with. Alternatively, it could mean you could benefit from a period of retreat and have a break to recharge your batteries. You are in a favorable situation, and in a position of great power. As with all power you must act responsibly and with care. Before making a decision, carefully consider what would be of most benefit to all concerned. To maintain power, a leader must learn to share it with others, only then will his position be secure, as you will not only be the possessor of power and the source of it too. If you abuse your position in any way, sooner or later your actions will rebound on you. Be open to the advice of others, listen to your own conscience and do what is right. Do not hurry to take action, deeply consider the situation, wait for the right moment then take decisive action. You will find progress comes easily at this time. Your abilities will be recognized and appreciated but you must not use them on selfish goals. Keep a clear head, and you will be able to see all aspects of your situation clearly. Have faith in yourself and discuss your ideas with others, because your ideas are good, you will have a good deal of influence over others. Live in harmony with yourself and your life will unfold in exactly the right way. You will find negativity in your environment, you must keep your ideas and efforts to yourself and keep a low profile from harmful influences. If you do communicate your ideas you will be meet with a negative response. In order to protect your own interest, you need to withdraw from the situation. Preserve your self-confidence, remain cooperative, and keep your thoughts and feelings to yourself. Do not lose sight of your goals, this difficult period will pass. There are family or relationship concerns highlighted with this hexagram. You must put business aside and tend to your house. This may literally mean your home needs maintenance or it could mean your family relationships need your attention. Fulfil your particular function within the relationship and be receptive to the needs of others. Offer your support and consideration, it will be appreciated and valuable to all concerned. Misunderstandings and disagreements are indicted here. Diverging interests brings opposition and mistrust prevents cooperation. Under these circumstances no progress can be made, and further confrontations must be avoided. Be tolerant and try to meet the other party half-way. Do not try to force reconciliation, allow things to work out themselves at their own pace. At times opposition can be useful, and the conflict brings new life into the situation. This reminds us of the interplay between Yin-Yang which is fundamental to the creation of life itself. If you can respect and learn from other’s point of view, it will benefit all concerned. You feel stuck in your current situation, there are multiple problems and there seems to be no way of moving forward. Your current strategy is not working, and you need to find a new approach. Although the obstacles are not permanent, they are in your way. A new outlook and attitude is needed, then you will be able to move forward. Take the advice and support of others, the different perspective will inspire you and help revive your spirits. The positive side of even the most difficult obstacle, is that it can make a person turn inwards and improve their strength and character. You have been through a difficult cycle, where all your efforts have been blocked. You have had a tough time with your relationship due to conflicts and misunderstandings. This difficult cycle is now coming to an end, and you will begin to reap the fruit of your labor. What you must do is understand what the factors are which have been holding you back and consider where you have been blocked and why. Although many of the obstacles will fade away naturally you must be prepared to make some changes where you can. These changes will bring you some relief and you will be able to return to a more satisfying routine. Decrease is part of a natural cycle where you must give something up or some aspect of your life. In the short term is may seem unfavorable but it will be of advantage in the long term. While in the time of decrease you must take control of your emotions and try not to overreact. Offer your assistance to others, but only as much as is needed for them to help themselves. This holds true in reverse, do not take any more than is absolutely needed. Now is a good time to work on yourself, doing so will bring you success and good fortune. The winds have changed, fortune is now in your favor. New opportunities will appear, relationships will flourish and problems can be resolved. Even tasks that once seemed impossible can now be tackled successfully. Make the most of this time and keep the interests of others in mind, this time will not last indefinitely. Now is the time to take action, do what is needed to move things forward. If there is something you would normally dismiss as being beyond your capabilities, do it now, the outcome will be successful. Keep a positive attitude and focus on your own best interest. There may be some hard work to do, but it will bring huge rewards. There is an obstacle of some kind that needs to be overcome, you must stand your ground. The obstacle will not go away on its own. Proceed cautiously and learn what you are up against. You must stay alert, difficulties could arise at any time. Keep a cool , clear head and be courteous. If you keep an open mind, you will find much to learn. Be determined, you must fight against these persistent difficulties. Listen to the good advice of others, it will help you resolve the situation. If you feel something is wrong in a situation or business deal, trust your instincts and examine any suspicions you have closely. Pay close attention to anyone making you an offer or deal, there is a real danger you could do something that compromises yourself. As soon as you become aware of a dangerous liason, it would be in your best interest to promptly speak up. Any problem is best dealt with in its early stages. If it is allowed to get a hold on the situation, it can all too quickly get out of hand. Not all offers should be considered suspicious, some people may have good intent, be prepared to meet them half-way and you will both benefit. Now is a time to work as a team, whether it family or business, align your forces and advance toward a common goal. If you have a position of leadership, give your best, and deal with the outside world in a calm manner. Try to act in the best interests of all concerned. If people know they can depend on you, they will give you their confidence and respect. Pay close attention, if you see a potential problem, deal with it early before it has a chance to grow. Keep your goal firmly in mind. When working within a group, you must take personal precautions, to protect your own interest, because they can be easily lost when inside a large crowd. 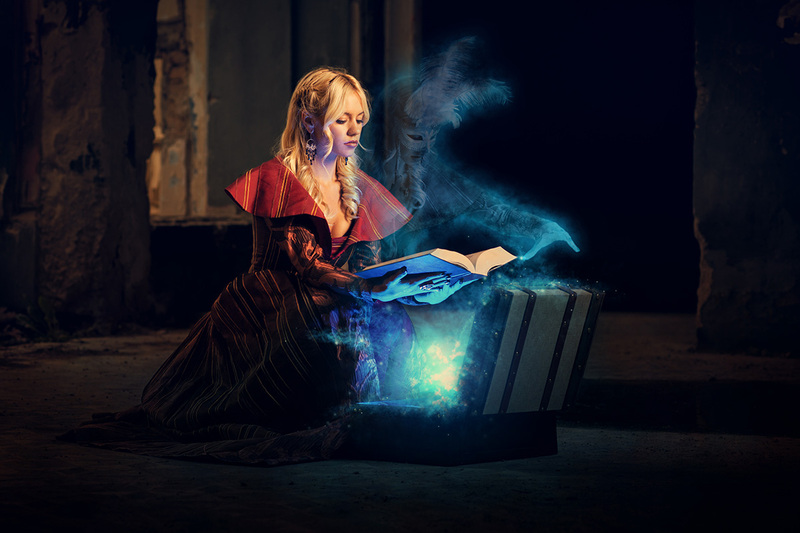 This is an extremely favorable time for you, it is now when all your dreams can come true. Your every move will lead to success, your relationships will flourish, aim high, nothing can stop you. Believe in yourself, and keep a clear head, keep making steady progress, one step at a time. You are now in a position to attain your goals. Do not be tempted to take shortcuts, your success depends on you making continued progress. Take each step with consideration, do not act on impulse, pay attention to detail, carry on in the way you are going and you will achieve your goals. This is a most difficult situation, everything feels like it is conspiring against you. There is nothing you can do at this time, the situation will improve in due course. Instead of trying to fight against the odds, hold on to faith in yourself and do not let this difficult time drag you down, you must be strong and determined, and you will succeed. As this period will not last long, look forward to tomorrow with optimism. The ancient symbol for this hexagram is that of a well. The issue, therefore, is one of drawing on the waters of life deep within yourself. You must put your life in order, take time to consider your priorities and work on yourself. Focus on essentials. Think things through carefully. Take nothing for granted. Do not look to the outside world to solve your problems for you. The answers lie within. Make sure your basic needs are well provided for and that you nurture your spirit. This hexagram indicates dramatic changes, clear out of your life anything that no longer serves your best interest. It is a case of out with the old in with the new. Timing is crucial. Any action needs to be thoroughly thought out and based on very solid foundations. Action should only be taken if you are absolutely certain. Now is the time to make changes to your life-style and environment, let the changes reflect who you are now rather than who you were. Meditation is the key to taking advantage of the opportunity for radical self-transformation. Make your plans, think things through and keep firmly in mind what you want the outcome to be. Focus within, nurture your natural gifts and polish your skills. Your current situation holds everything you need to achieve your goals. Take advantage of any opportunity you are presented with and be open to new endeavors. Strengthen the bonds between you and those most important to you. Great success is indicated with this hexagram, but not though pursuing wealth but by acts of generosity or kindness. Remain modest and approachable and you will attract people who can help you to make progress. A sudden and unexpected event has happened, and you were unprepared. Once the initial shock passes, you will see everything happened for the best. This shock happens to encourage you to examine all aspects of your life, find flaws, errors that have been made, and take steps to deal with them. The shock you have experienced may therefore be a way of forcing you to make the necessary changes. You may have been going about something in the wrong way, now you will have the chance to change direction. Right now, you need to take a time out and relax. The most pressing matter for you right now is to find peace of mind. Take a break from work, meditate and breath. The ancient symbol of this hexagram is that of the mountain, this represents stillness. The calmer you become, the stronger and more self-reliant you will feel. Learn how to meditate to help achieve a still mind. Focus on being present in the here and now, what matters is to be firmly anchored in today, responding to each situation as it arises. Think carefully before taking action, if you are at all doubtful, do not go ahead. This hexagram represents patience. You must not take any hasty or premature action. Pay attention to the smaller details of life and make certain all your bases care covered. Spending time on the smaller details of life will undoubtedly bring rewards in the future. Do not try to force events forwards, you must allow things to develop gradually, if you do then matters will unfold in exactly the right way and to your ultimate benefit. Do not lose sight of your goal, with patience and diligence you will achieve it. Kuei Mei is one of the most challenging hexagrams of the I Ching. It appears when the warnings carried by hexagram 53 (Chien) have been ignored. Do your best to adapt to circumstances without expecting too much. Keep to yourself and quietly go about your business. Try to be less dependent of others, by doing so you will have a greater sense of self-worth and inner freedom. In regards to relationships, do your best not to be jealous or possessive. Do not allow a disagreement to undermine the relationship. Have faith in yourself and remain committed to achieving your goals. This is now a period of abundance, you can fulfil your potential and achieve your goals. Your business will thrive and your relationship will flourish. Make the most of this time of abundance and influence to achieve great gains. Do not worry about the future, just be in the here and now. Worrying about what has not yet happened will only serve to weaken you. Be modest and willing to accept the help from others. Even though you are in a most favorable position you must make sure you provide for your future. You are in a temporary situation, do not sign up for anything and be prepared for change. This is not a favorable time to enter into binding agreements or to start new enterprises. It is most important that you be self-reliant. Because circumstances could change at any time, you cannot depend too much on others. Use this time to gather information, expand your horizons, and learn about yourself. This hexagram represents a time in your life when you feel the need to travel. This should not be seen as a time to take a trip to escape from difficulties but as a time to gain knowledge. This situation emphasis on open and honest communication with a positive spirit. You will find all things possible in this time, do not be afraid to capitalize on your success. Be friendly with others, and you will get a positive response. If you are friendly to others, they will help you accomplish your goals. Value yourself, trust you have within all the resources you need to succeed. Be a source of inspiration and encouragement to others. Huan is about removing barriers that are in the way of making progress. Use this time to clear up any misunderstandings and tackle any issues which keep you from communicating freely with others. Find the things blocking your way and take the necessary steps to remove them. You may not be able to remove all obstacles yourself and need the assistance of an outside mediator. Let go of any resentment of others you are holding, do not bear any grudges, be free of anger, these things will only create more obstacles to hinder your progress. Your fulfillment at this time now lies in working for the benefit of all, rather than your own self-interest. Chieh represents the need in your life to have practical limitations. In this situation, you must know your personal limits, do not expect more of yourself than you know is realistic. Do not ask more from others than they are capable of giving. Have a realistic view of what you are capable of, then set yourself achievable goals. By limiting yourself to what is manageable you will acquire new skills and knowledge. In regards to relationships, don’t move too fast, start slowly and build a strong and lasting friendship. This situation is about effective communication and cooperation with others. You will find by being honest and truthful, others will respond with genuine sincerity. But you must be careful as Chung Fu warns that if you are not honest and sincere with others any progress you have made will be undone. At this time the guidance of someone wiser and more experienced than yourself would be of great benefit. Hsiao Kua appears when there is a need to focus on the smaller details to achieve success. Do not try to undertake any important matters, nothing of great significance can be accomplished at this time. An accumulation of small victories is the best way to achieve success at this time. Try not to over-extend yourself or take on more than you are capable of. Calmly go about your daily routine and keep a low profile. You cannot be too thorough in your attention to detail. Be courteous to others and show consideration, do not make any unreasonable demands. This situation will not last forever. In the meantime, be patient and make the best out of it as you can with the resources you have available. Chi Chi relates to successfully completing your goal and enjoying the fruits of your labor. But you cannot sit back just yet, you must pay attention to detail and be aware of any problems that may arise. Now you have achieved a successful outcome, you must do what is necessary to preserve it. This means, keeping your wits about you, if you become careless, the situation will begin to decline. Celebrate your current success and make plans for the next phase of your life. This hexagram is about the time before completing your goals. You must take extra care, as being careless or not paying attention could cause all your hard work to be undone. Remain alert to danger and stay focused on the tasks at hand. If you do stay on the ball, you will have a successful outcome. Keep your goal firmly in mind and continue to make small steps in that direction. Focus on achieving your business goals and do not allow yourself to be distracted.